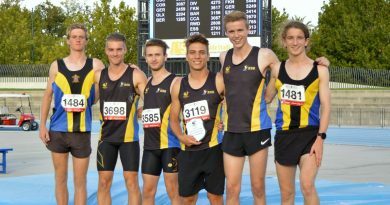 Our team of coaches at Keilor St Bernard’s Athletic Club are registered with Athletics Australia and a number are also registered with the Australian Track and Field Coaches Association (ATFCA). Head coach Ron Stobaus has been with the Club since its instigation in 1965. For any questions you have about training, you can get in contact with any of the coaches listed below. They will be happy to answer your questions.